Steve started his career with Derby County rising through the youth ranks, gaining an England youth cap and earning a contract. 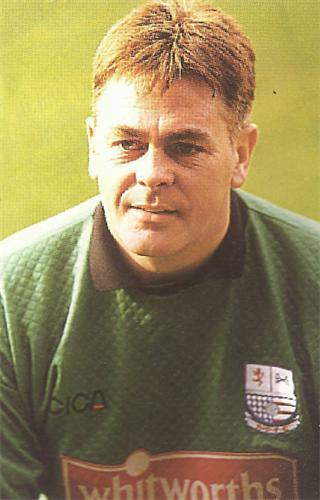 The keeper went out on loan to Port Vale in November 1980 and in 1983, won the Derby ‘Player of the Year’ award. In total, he made 90 appearances for the Rams. In August 1984, Steve joined Walsall for £25,000, spending two years with the club playing 94 games before moving to Plymouth Argyle in October 1986 where he made 83 appearances. In December 1988, he went on loan to Chesterfield before being recalled in February 1989 in order to make a £70,000 move to Notts County. In 6½ years, he played 328 games for County He left in the summer of 1995, and spent the following season at Watford and Plymouth Argyle. In 1996, Steve moved to Rotherham United, before spending a short period at Kettering Town, and it was from the Poppies that he arrived at Nene Park in March 1997. His time at Nene Park saw him play Conference football under Brian Talbot, but his time ended with the famous 5-5 draw against Farnborough Town. He left in September 1997, joining Mansfield Town on a non contract basis, and went on to play a small number of games for Stalybridge Celtic, Kidsgrove Athletic and Belper Town. 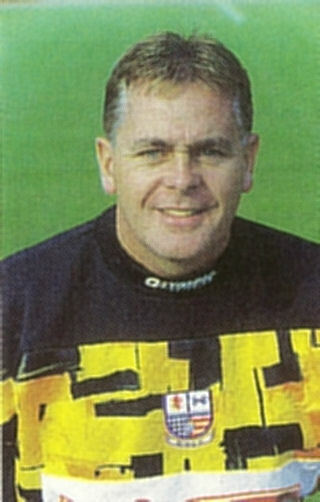 After playing more than 600 games he hung up his gloves, and after a spell of coaching with Notts County, had a similar role at Macclesfield Town in February 2009. He left on 13 May 2010 due to illness and underwent heart surgery the following month. He completed his autobiography – “Cherry Picking” – during 2018, with it due to be published in 2019.